If there is still room in your brain and sketchbook for more techniques, after Thursday’s slate of process room presenters, we have yet another day of techniques to tantalize and teach. First out of the gate is Stuart Asprey painting on the surface in Clay as Canvas. He will be sharing another way to enhance and engage the façade of your work, bringing 2-D skills into the mix. He will touch upon how to design and hand-build forms that will serve as a canvas for your illustrations. And for those who have issues with the way they draw (like me), he will discuss some ways to use appropriated images and digital media. Asprey will show some tried and true, low-tech sketch-transfer tricks for your image. Then when your idea has been transferred, demonstrations of painting and illustration techniques using colored slips will complete the process. 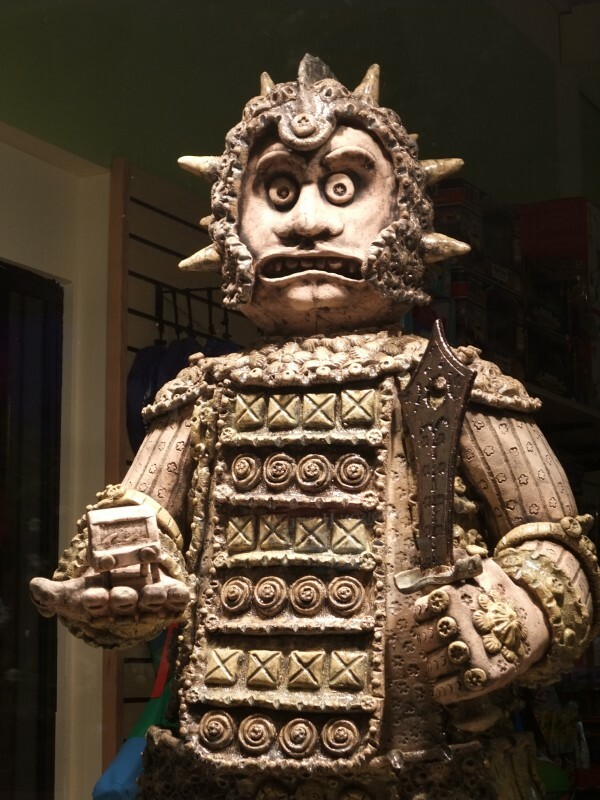 For the slippery folks out there who like to make molds and cast into them, Sean Roberts will help you get some depth with his Slip Casting with Color. The multitudinous possibilities of mixing, pouring, cutting, pasting, swirling, trailing, and combinations thereof will be demonstrated. He will share strategies to achieve precision, variation in the layering and patterns of color. Slip recipes, colorant percentages and post-casting techniques to alter and highlight the designs will be revealed. Surfaces that pop will be demonstrated by George Rodriguez’s Embellishment with sprigs. A sprig mold is a shallow mold that allows for quick and easy replication of a dimensional design. Using one-part plaster and bisque molds, he will describe the pros and cons of each while using them to apply springs to leather-hard forms. Rodriguez will share a variety of mold possibilities and define the difference between a sprig and a stamp. In addition to showing his press and release techniques, he will share his portable damp box storage system for the pre-made sprigs as they await use. 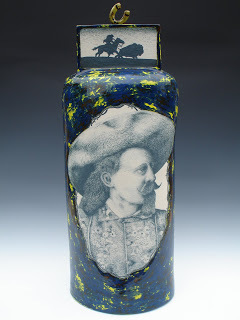 Composition and glaze finishing will also be touched upon during his talk. Just desserts will be served up by Deborah Schwartzkopf in her Altering off the Wheel presentation. Schwartzkopf will show our members how to create an elevated, asymmetrical treat dish. Detailed throwing techniques and attachments trouble shooting are shared. She will throw, alter, trim, slice and dice her way to assembling an elaborate dessert delivery system, adding spiral handles for extra whimsy. Not all of us like the wheel, but we do like making functional wares, so here is your chance to make Banding Wheel Plates with Adam Chau. He will show you how to achieve a footed plate, with an even wall with no trimming needed. Working with slabs, coils, stencils and the eponymous banding wheel, you will learn there is more than one way to spin a plate. If you need to stretch after all that, by all means do, but stick around for Taking a line for a walk with Sharon Garson. 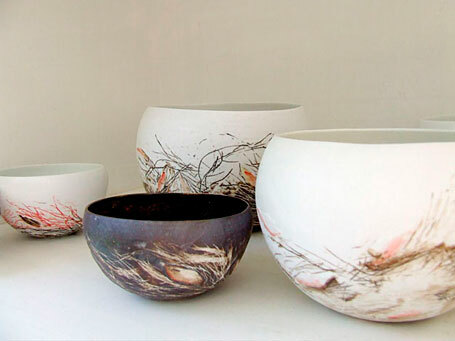 Inspired by her landscape and memory, she builds the surface slowly using scraffitto, color washes of underglaze, oxides, glaze, a process she describes as “pulling the drawing out of the vessel.” Working from loosely thrown forms, she wraps their fluctuating bodies with her line drawings that grow by layers into her environment. 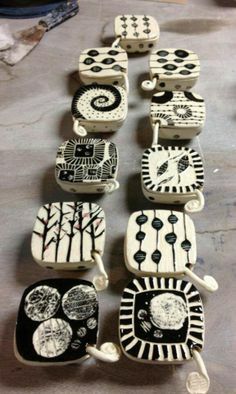 Sometimes she wedges the organic elements from the landscape she is illustrating into her clay, allowing their imperfections to alter and leave their mark. Garson will show how patient and observant layering results in a richly complex surface. Do you sometimes feels like life is out of control and things are slipping from your hands? 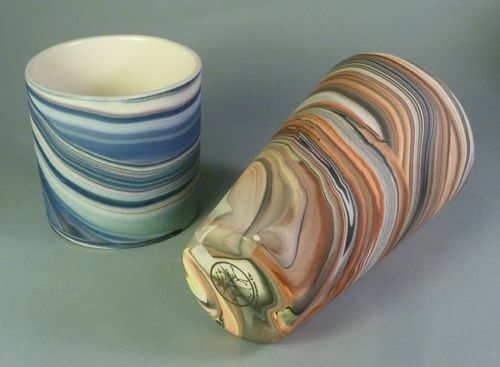 Well Marty Fielding can help with the ceramics side of that chaos with his presentation on Alternative Handles. Offering an alternative to the pulled, pinched, or extruded handle he will demonstrate a subtractive solid-forming technique, giving your handles as strong, contemporary feel. Handles built with this method posses planar, voluminous, curved, and hard-edged or a qualities. 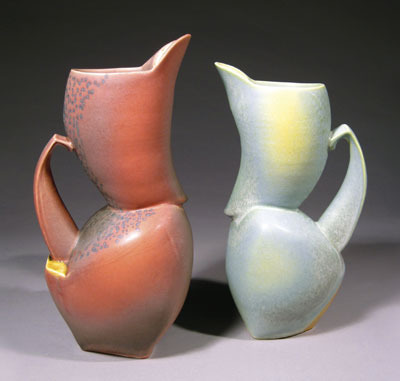 Fielding begins with designing a handle shaped template that works with the vessel. He carefully traces, then cuts the shape on a thick leather-hard slab. Next he defines the contours, subtracting clay as needed with rasps and knives. It is then refined with a rib and is firm but flexible at this point and can be joined to the vessel. 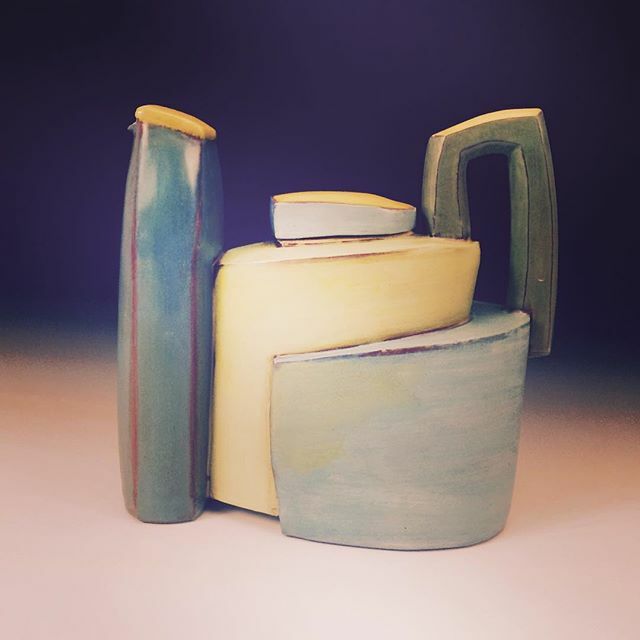 Closing out the 2016 NCECA Process Room will be Cristine Boyd with the ins and outs of slip decorating with the Combined Techniques of mishima, sgraffito and the extra embellishment of some trailing. From stamping or carving the clay for mishima to ensuring a solid coat of slip for sgraffito prior to carving, all steps will be shown, cooking show style, so members will have a strong understanding of the processes. After two days of these blitz techniques, no one leaving the conference should be making boring work and will hopefully return to their studios energized and inspired.